Merricks House Art Gallery at Merricks General Wine Store is delighted to be holding its second exhibition of paintings by local top artist Gee Ryan (Gerald), entitled Love One Another and Care For Our Planet. The exhibition opens on Saturday, February 25, (preview from noon, formal opening at 3pm, all welcome) and will finish on Monday, April 3. Gee has painted naturally from childhood. He was also a lawyer for many years. In 2015, one of the paintings from Gee’s Love One Another Basin series was acquired by the world-renowned Luciano Benetton Collection, based in Milan, Italy. 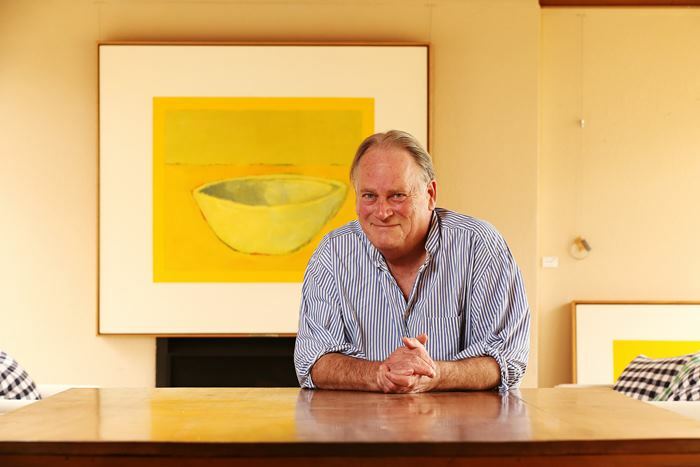 The Australian contemporary art part of this Collection, including Gee's painting, will be travelling to the world's major art centres, showcasing the works of 210 established and emerging Australian painters. The historic Merricks House Art Gallery (open daily from 8.30am to 5pm) is located at 3460 Frankston-Flinders Rd, Merricks. It adjoins the equally historic Merricks General Wine Store, renowned for its fabulous Elgee Park and Baillieu wines and its superb, French-inspired modern Australian cuisine. Phone 5989 8088; website mgwinestore.com.au. One of the paintings from my Love One Another Basin series has been acquired by the world-renowned Luciano Benetton Collection, based in Milan, Italy. 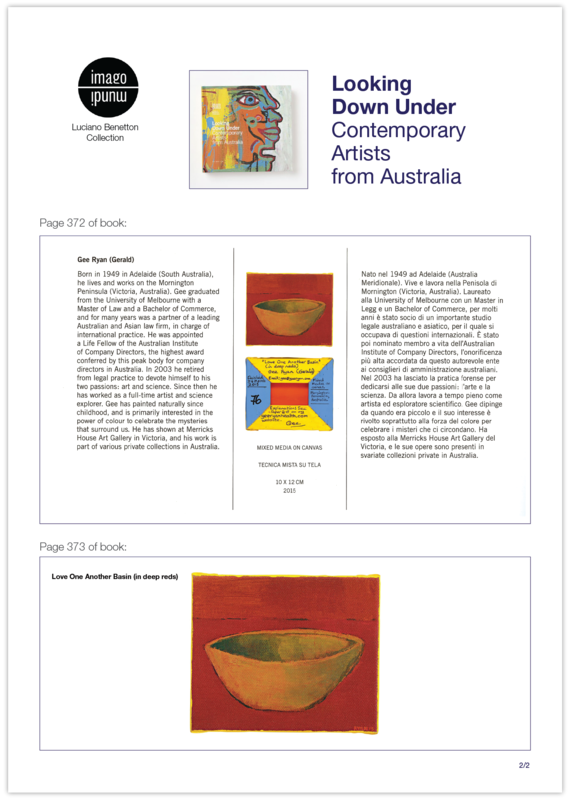 The Australian contemporary art part of this Collection, including my painting, is travelling to the world's major art centres, showcasing the works of 210 established and emerging Australian painters.